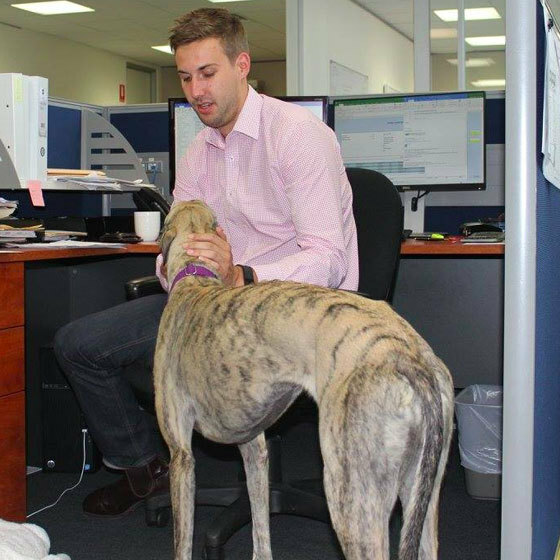 We are super happy to announce that Workplace Foster dog Fern has found her furever home, complete with a fellow greyhound buddy, and couch cuddles galore! Fern was part of PetRescue’s Workplace Foster Care Program, an initiative designed to help save lives and promote foster and adoption within the community. 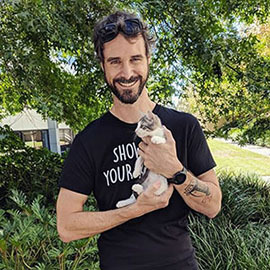 “After Natalie King from Verve Projects contacted PetRescue, we got in touch with Sherree Reid from Greyhound Rescue Victoria, who was super excited to be involved,” said Tarsha, PetRescue’s AdvoCat. Fern was assigned a main caretaker, Verve Projects team member Richard, who lives with a couple of housemates also supportive of the new addition. “Fern slept on Richard's bed the first night, the couch the second. When Richard and Fern arrive at work, Fern would do the office rounds and greet the team one by one,” said Tarsha. 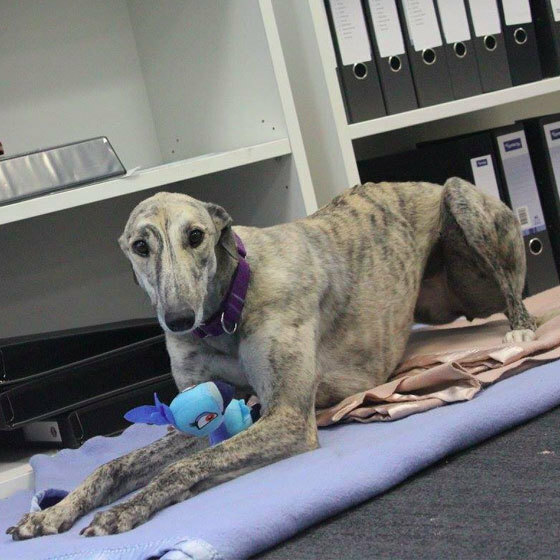 After strutting her stuff around Verve Project’s Melbourne office for the past few weeks, Fern now gets to knock off from the 9-5 and soak up couch cuddles at her new home. Fern’s new family sadly lost their male greyhound recently, and feel that Fern will be the perfect one to help mend their broken heart and settle their other dog. 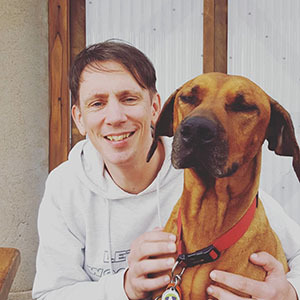 Want to know more about PetRescue’s Workplace Foster Care Program? Click here!